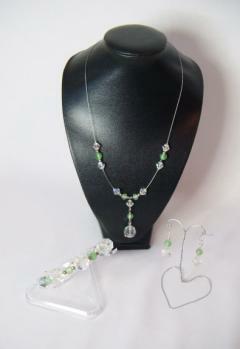 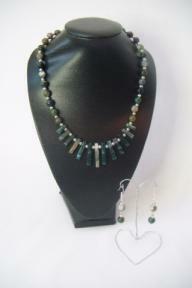 Clear Aurora Borealis crystals are paired up with frosted green glass in this set. 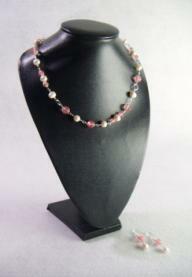 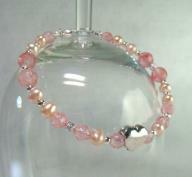 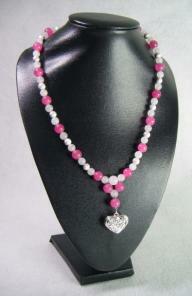 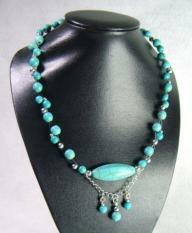 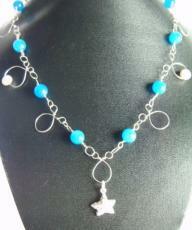 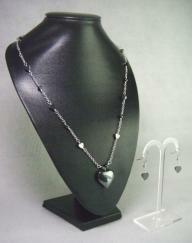 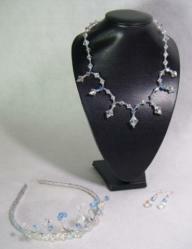 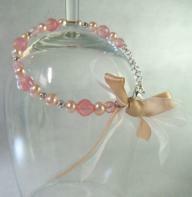 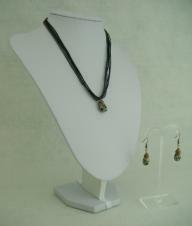 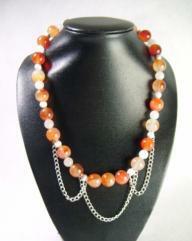 The necklace has sections of floating beads and a Y-pendant, the bracelet is continuous. 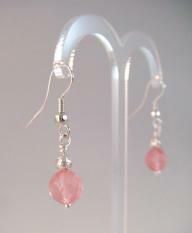 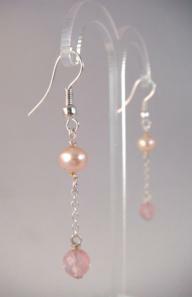 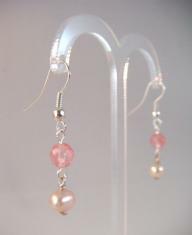 The crystals are really substantial and weighty, so the earrings have similar clear acrylic beads to make them more comfortable to wear. 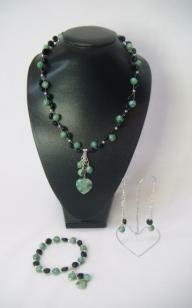 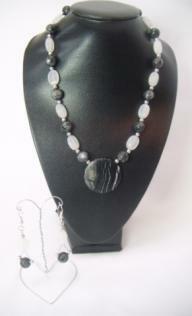 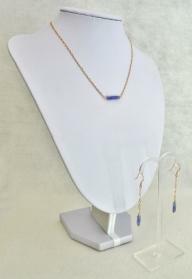 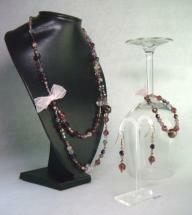 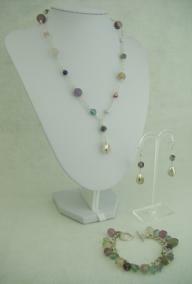 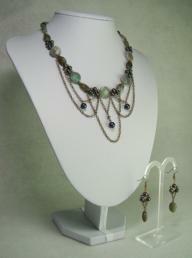 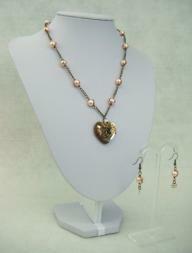 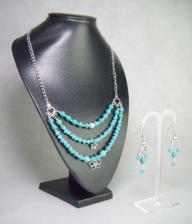 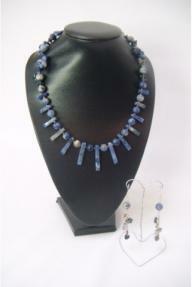 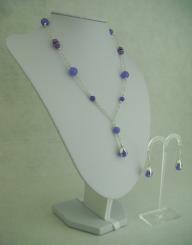 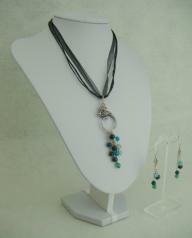 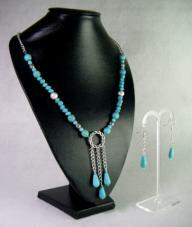 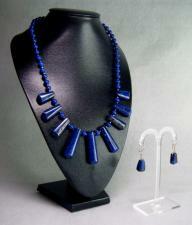 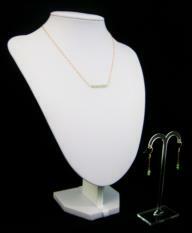 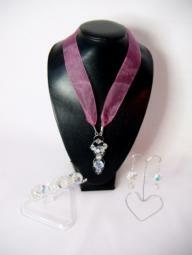 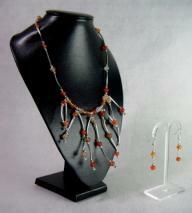 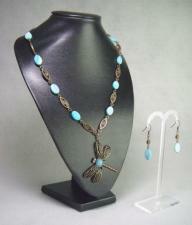 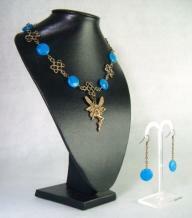 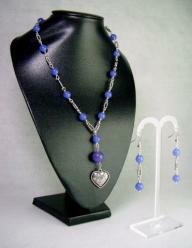 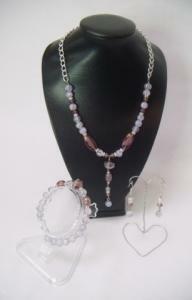 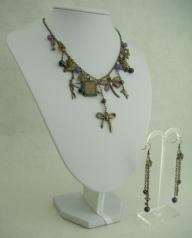 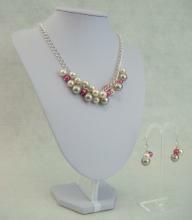 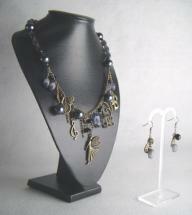 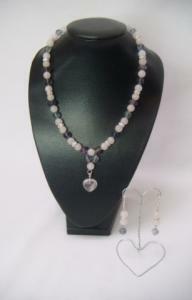 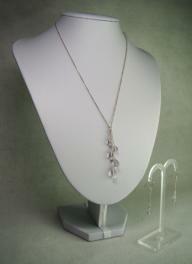 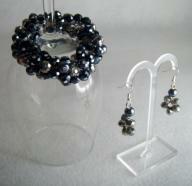 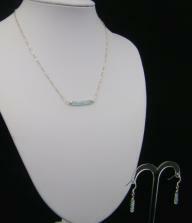 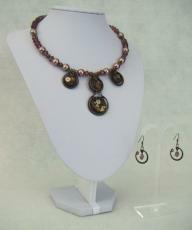 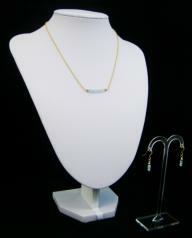 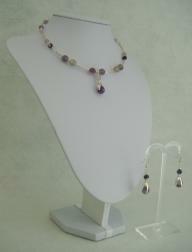 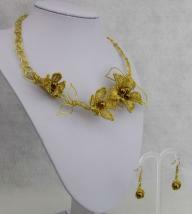 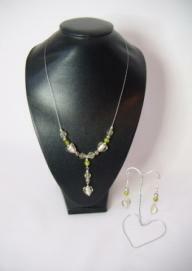 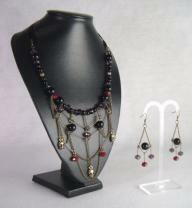 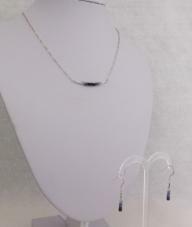 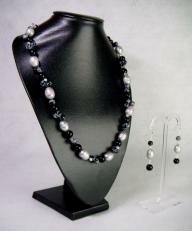 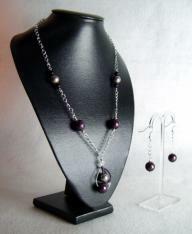 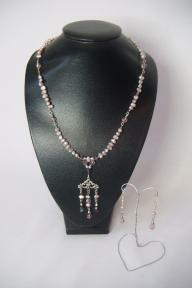 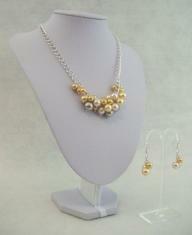 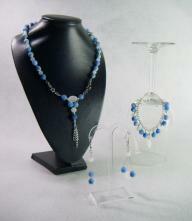 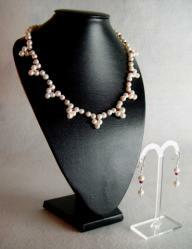 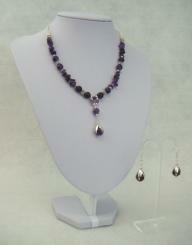 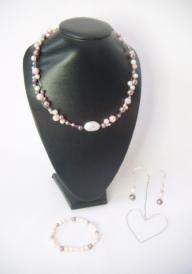 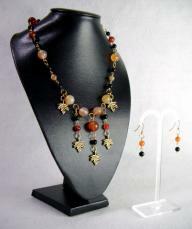 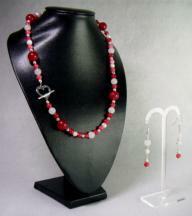 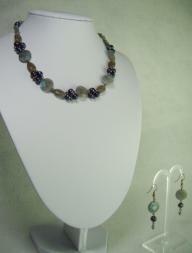 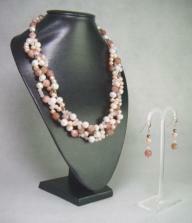 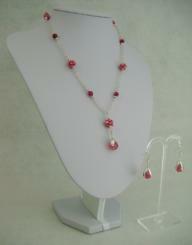 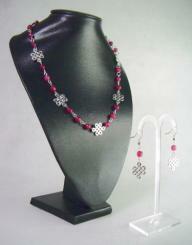 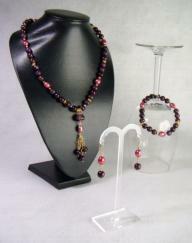 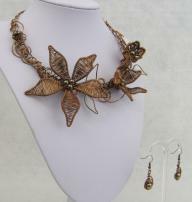 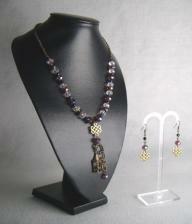 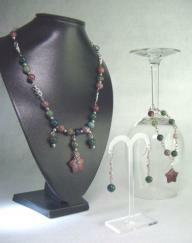 This set could be worn casually or for a more dressy occasion.